Do you really know 1000BASE-LH or 1000BASE-LX SFP? 1000BASE-LH or 1000BASE-LX SFP , one of the commonly used fiber optic transceivers, is now widely used in optical transmission systems. With the development of 40/100G Ethernet, even 400G Ethernet, this kind of transceiver module is nothing new to the module users. However, few people can deliver a clear answer to the question of what “1000BASE-LX/LH” infers. Well, if you know what it means, congratulations! you are the one of the few. You can skip today’s contents or share your experience to us in the comment. 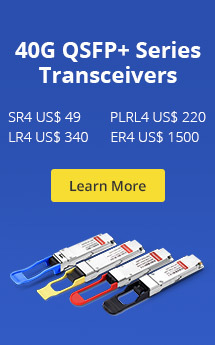 Actually, this post is a simple reference source for the beginners in this field or those who are lack of knowledge with fiber optic transceiver but have a strong interest in it. What Is 1000BASE-LH or 1000BASE-LX SFP? 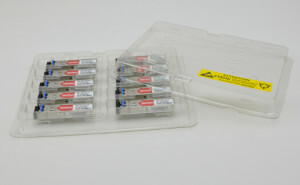 To begin with, I’d like to make a brief introduction of 1000BASE-LX/LH SFP. This kind of SFP is similar with the other SFPs in basic working principle and size. But it is compatible with the IEEE 802.3z 1000BASE-LX standard, operating on standard single-mode fiber-optic link spans of up to 10 km and up to 550 m on any multimode fibers. In addition, when used over legacy multimode fiber type, the transmitter should be coupled through a mode conditioning patch cable (see Earlier article: Why Mode Conditioning Patch Cable Necessary for 1000Base-LX / LH Application). As we know, an optical transceiver module is generally either made for single mode (long distance) or multimode (short distance). But 1000BASE-LX/LH SFP, such as the Cisco GLC-LH-SMD SFP can be used for both singlemode and multimode. 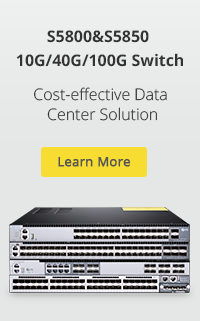 In fact, the Ethernet standard defines this optical interface specification as 1000BASE-LX10. However, many vendors as a proprietary extension called either 1000BASE-LX/LH or 1000BASE-LH before it was standardized. Thus, we often see 1000BASE-LX/LH rather than 1000BASE-LX10. In a word, 1000BASE-LX / LH SFP has two identities. It is single mode by design, but when it gets together with its friend “mode conditioning patch cable“, it can also be used for multimode application. This patch cable inserts a single to multi splice on the transmit path, to “fill” the multimode fiber with light. It is more expensive than normal patch cables, but is necessary if using these on multimode fiber. At present, 1000BASE-LX/LH SFP is the only one kind of fiber optic transceivers which can be used for both singlemode and multimode applications. And these applications are depending on what fiber you use. This entry was posted in Fiber Optic Transceivers, SFP and tagged 1000BASE-LX/LH, Fiber optic transceiver, Mode conditioning patch cable. Bookmark the permalink.